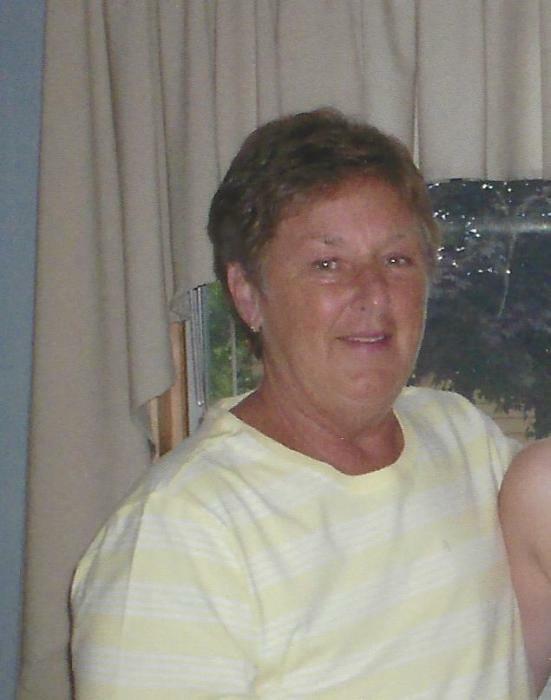 Frances R. Bouchard, 73, of Madison, went home with the Lord and joined her late husband on Monday , March 18, 2019, comfortably at home surrounded her her family and friends. Fran was born on February 8, 1946 in Skowhegan,a daughter of Maxime and Lillian (Cote) LeBlanc. She was educated in the local schools. Following graduation she attended Plus School of Business in Portland. Mrs. Bouchard was employed for more than 30 years as a customer service representative and supervisor with TDS Communication in the North Anson Office. Following her retirement she work several part time jobs to stay busy and active. Anyone who knew Fran, knoows that she loved the summers at her camp on North Pond and her winters in Port St. Lucie, Florida, where she made numerous new friends. She loved the outdoors,kayaking, hiking, bike rides, she also enjoyed cross country skiing, dancing, trips to the casino and was always ready for a poker game. Spending time with her grandchildren was her greatest joy. She was predeceased by her parents, by her husband Walter who passed away in 2012 and by her 2 brothers, Martin and Michael LeBlanc. Frances is survived by her daughter, Sherry Emery , her husband Robbie and their children, Rhett and Hillary McKenney and Cody and Ryan Emery all of Madison. Her daughter Sherril Bouchard and her children, Madison and Nathan Perkins also of Madison. She is also survived by her sisters, Maxine Law and her husband Michael of Port St. Lucie, Florida, Jane Ann Rollins and her husband Mickey of Georgia and Bonnie Bearor and her husband Terry of Port St. Lucie, Florida as well as many nieces, nephews and good friends. The family would like to acknowledge, Fran leaves behind 2 very good friends, Elaine Charron of Madison and Rachel Welch of Embden, they were by her side giving love and support until the end. A funeral mass will be held on Saturday, June 1, 2019 at 10:00 AM in St. Sebastian Catholic Church , Main Street Madison, burial will follow in St. Sebastian Cemetery. A celebration of of life luncheon will follow at the American Legion Hall in Madison. There's still time to send flowers to the Mass of Christian Burial at the St. Sebastian Catholic Church at 10:00 AM on June 1, 2019.